Francesca Luciana Ferrari Rojas Tijerina Martino, 23, was killed in a traffic accident on Monday, October 19, 2009, in Orlando, Florida. The other driver was at fault and was cited with violating Florida Statute 316.122 vehicle turning left. Legal issues are discussed separately. She was wearing her Shoei RF-1000 full face helmet, Cortech Adrenaline gloves, leather jacket and Garne Black Rose boots at the time of the accident. 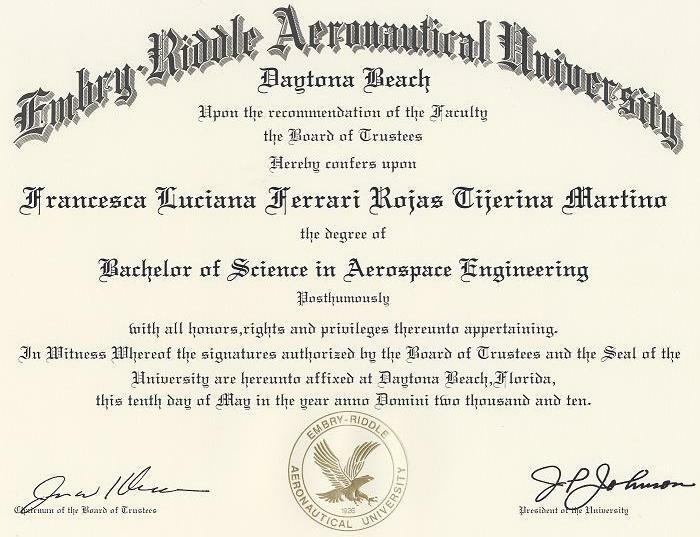 Francesca Martino was nearing graduation at Embry-Riddle Aeronautical University and was already an intern at NASA while still taking classes at Embry-Riddle. She had already completed 200 credits when it takes 120 credits to graduate. 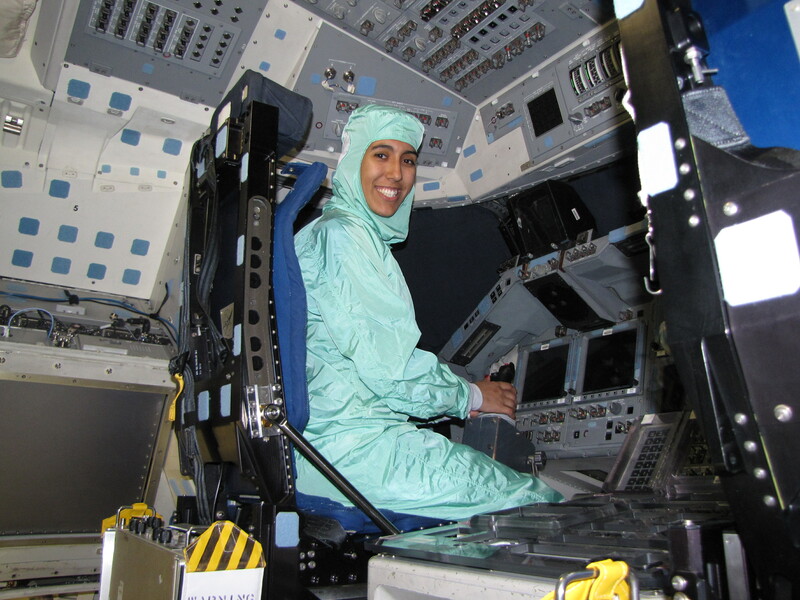 She was majoring in aerospace engineering, aerospace studies, and minoring in mechanical engineering, mathematics, human factors (ergonomics) and psychology. She was posthumously awarded a Bachelor of Science degree in Aerospace Engineering (aka rocket science) on Monday, May 10, 2010. Feel free to post publicly on any of the blogs above, or you may send a private email to Richard Martino. * In 2016, Francesca's mother, Cecilia Tijerina Martino died. Because of the extra donations to the Francesca Martino College Fund, we are increasing this award to $1,250 per year.